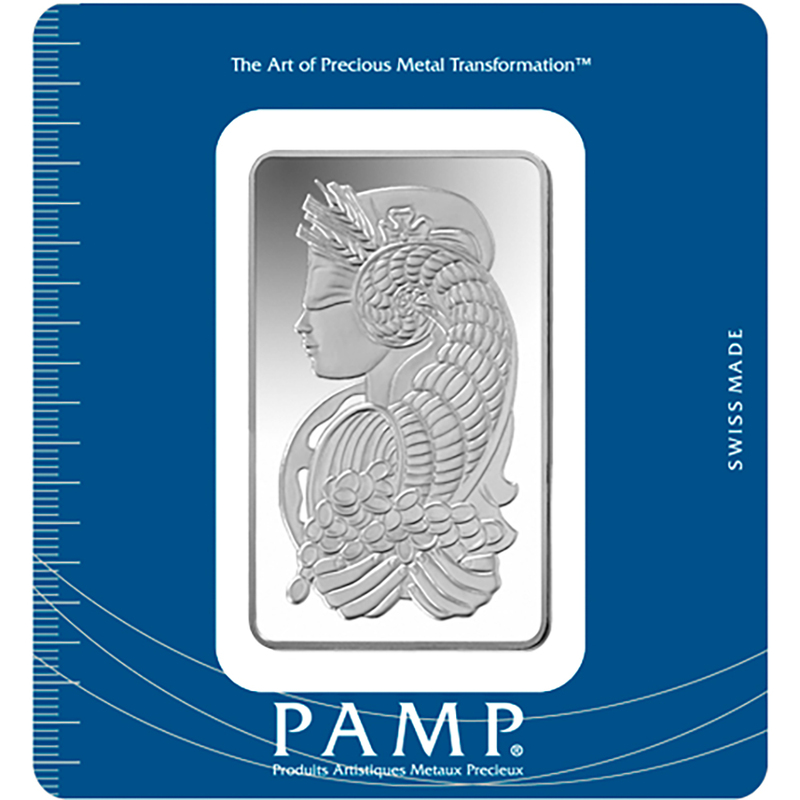 The PAMP Suisse 100g silver bar depicts Fortuna, the Roman goddess of fortune and luck. 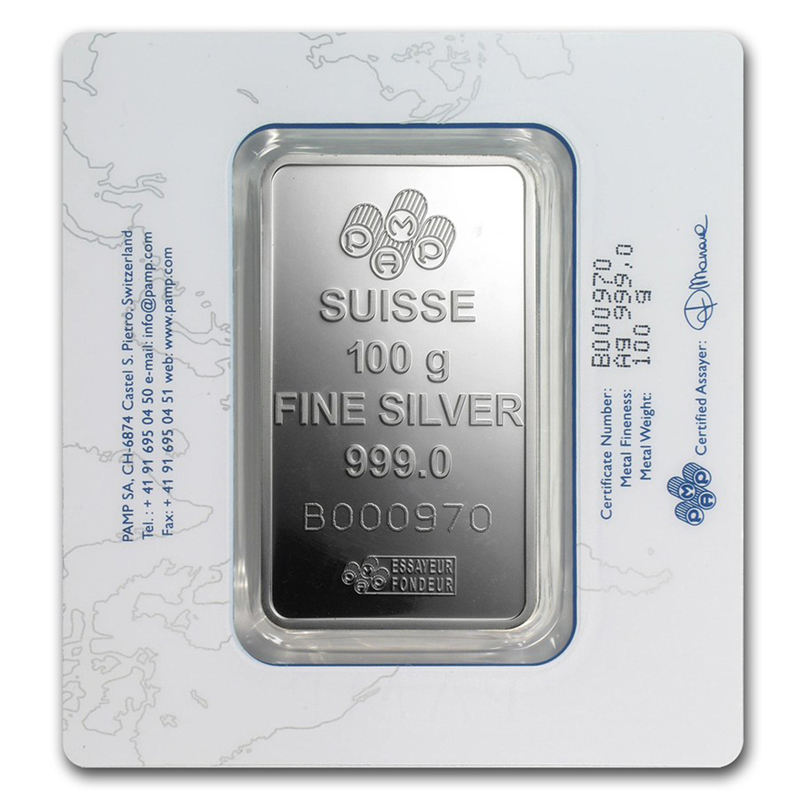 Each Silver bar with assay card certifying the weight and silver metal purity. Dimensions: 60 x 35 x 4.53mm. The photographs show the type of bar you will receive, not the exact item.